Open, close, open, close, again and again... and again. 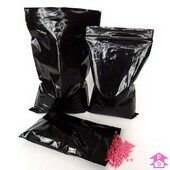 Very handy little bags, which is why we always have pallet loads in stock just for you. Arrange your storage with this range of self-seal bags featuring white write-on-panels that allow you to label contents with a pen or pencil. 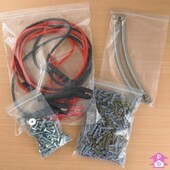 Use these extra thick self-seal bags for those heavy duty jobs where that bit of extra storage strength is required. Self-sealing bags that come with an attached pouch for record cards - ideal for hospitals, doctors, police forces and head teachers! Show off your products with these easy-to-use clear grip seal carrier bags. Available in three handy sizes. The electronics industry standard antistatic mini grip bags - ideal for protecting electrical components during transit and storage. 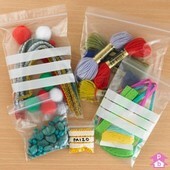 Cost-effective zipper bags offering high clarity. Ideal for storing publicity material, polyfolios or retail products. No minimum order necessary. Next day, express and worldwide options available. Our prices start cheap and get cheaper. The more you buy, the better the value - simple as that! Grip seal or ziplock - take your pick! Mini grip, grip-seal, grippa, ziplock, self-seal or slider. Whatever it says on the tin (or bag) we've got the right resealable bag for you! Mini grip bags - as easy as one, two, squeeze. 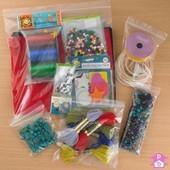 Mini grip bags, often known by one of many other names (see below) are resealable polythene bags that are opened and closed using a plastic grip that runs across the top of the bag. The resealable grip is made of two plastic ridges (male and female) that click shut together with ease. Run this second hand away from the fixed hand, keeping the grip seal squeezed between your fingers as you do so. The male and female ridges will interlock together as your fingers slide across the bag, fastening the seal as you go. Gently pull your hands away from each other, stretching the grip seal apart as you do so, eventually opening the bag. Mini grip bag, grip seal bag, resealable bag, self-seal bag, gripper bag, grippa bag or minigrip bag. Never has a bag so small had so many names! 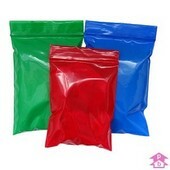 Whatever the name, or the spelling, each of the above terms are referring to basically the same type of bag - a small rectangular polythene bag with a plastic grip seal running across the top, made of male and female plastic ridges that click shut together to enable easy opening and closing. So, some call it a grip and some call it a seal but let's not get stuck on names. You say potato, I say potato... let's agree that the minigrip bag is a very handy little thing. Zipper (also ziplock, zip-seal and ziplite) bags - Premium quality reclosable bag with a durable zip fastener running along the top of a coloured wallet opening. Perfect for storing documents, these bags are ideal for handing out publicity material at exhibitions. Slider grip (or slide grip) bags - A 'simple classic' self-sealing bag with a plastic slider grip seal closure. Ideal for transporting offices documents or college work, these bags provide a professional packing solution at budget prices. When is a self-seal bag not a resealable bag? A resealable bag is, as the name suggests, a bag that can be used over and over again. 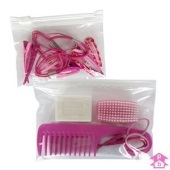 Mini grip, zipper and slider bags, for example, are all types types of resealable bags. 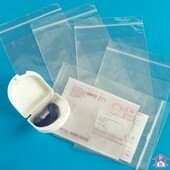 In these three instances, however, the bags in question are also self-seal bags, although this is not always the case. A self-seal bag is one that can be sealed without using an additional sealant - such as glue or tape - or without the need to seal the bag using heat to melt and bond the plastic, known as heat-sealing. All resealable bags are self-seal bags, but not all self-seal bags are resealable bags. In fact, probably the most common form of self-seal bag is not a resealable bag. Mailing bags are used to send documents and packages by post or transit. A self-adhesive strip running along the top of the bag allows the bag to be sealed and the contents delivered safely and securely with the minimum of fuss. And that's just to name a few! There are plenty of reasons to get hold of some mini grip bags, so why don't you find out for yourself? Mini grip bags come in all shapes and sizes and cater for storing a variety of products, so we have put together a few handy tips for making sure you buy the right mini grip bags for the job in hand. How big are the items that you wish to store? Mini grip bags aren’t all mini! They come in a variety of sizes ranging from 1.5” x 2.5” up to 15” x 20”, so you have a wide range of options available to you. Think before you buy! How many items do you want to store in the same bag? 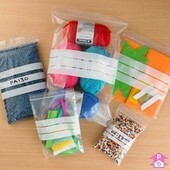 Consider what you need to store in each bag and how many of these you want to store in each bag. This will help you choose the most appropriate size. Always make sure that your bags are big enough to hold your product without overfilling it and potentially causing the seams to split. Do you need to categorise or colour-code the items? Coloured mini grip bags provide a quick and simple sorting solution, while the vivid colours - red, blue and green - will liven up your packaging. 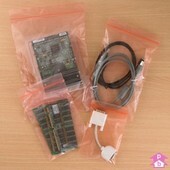 For more detailed content indexing, labelled mini grip bags allow users to detail the contents on the outside of each bag. Do you need to keep the content of the bags private? If so, then black mini grip bags could be just what you are after. They are just like standard mini grip bags and come in a range of sizes, but the opaque black plastic ensures that no-one can see through the bag. How abrasive or heavy are the items that you wish to store? Are you planning to store particularly rough, sharp or heavy items? If so, then you should consider heavy duty mini grip bags. Made from a thicker - 350 gauge - polythene and available in a range of sizes, these bags are strong enough for the toughest of jobs. Are your mini grip bags for a specialist use? If standard mini grip bags aren’t suitbale for the job in hand, remember that a range of specialist mini grip bags are available. These include, among others, anti-static mini grip bags (for the electrician), grip seal carrier bags (for the retailer) and specimen bags (for the medical professional or forensic expert). Ideal for when you want to keep small items private, these black self-seal bags offer light and fast confidential storage and transit. Add a little zing to your packaging with this vibrant range of mini grip bags in three bright and lively colours, ideal for colour-coded storage. Save money with this range of economy self-seal bags that reduces material thickness whilst retaining bag quality.